In the boxed note from the Research Digest on an article in the journal Thinking and Reasoning (January 2019, p.19), we read that only 11 per cent of informants had evidence to support their views of controversial topics; the rest could summon nothing more than unsubstantiated belief. 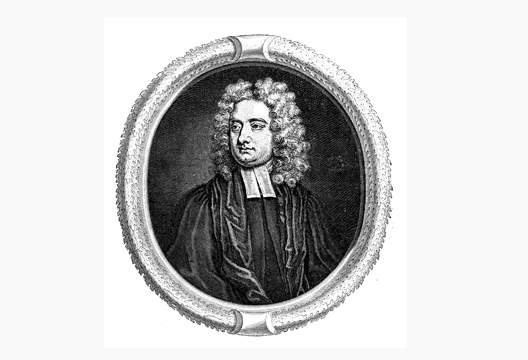 It was Dean Swift who said that one cannot reason someone out of something they were never reasoned into – a sentiment much paraphrased over the last three centuries. It is isn’t entirely true, of course – what pithy aphorism is? – but it is surely relevant in many social studies of attitudes, beliefs, persuasion and so on. May I also comment on the implicit reference, in the same issue, to the Whorfian Hypothesis: ‘the idea that the language that you speak influences how you experience the world’ (see p.20)? The consensus in linguistics is that this hypothesis in a ‘strong’ form (i.e., language constrains thought in a more or less permanent manner) is untenable, but that the ‘weaker’ form, which holds that a particular language can influence the habitual way in which we perceive things, is not. It is then entirely plausible that – as noted in the report in The Psychologist – the different ways in which Greek, German and Russian vocabularies divide up the colour spectrum may lead to differences in colour perceptions. However, if a desert population with an unsurprisingly limited set of descriptions for variations in the colour green were to strike oil, become wealthy, and move to Ireland, we should expect a fairly rapid emergence of many green nuances.